What would you do with your tax-rebate check? While a few people say they'd blow the rebate this year on a big-ticket item like a flat-panel TV, most say they would pay off credit card bills or save the money. 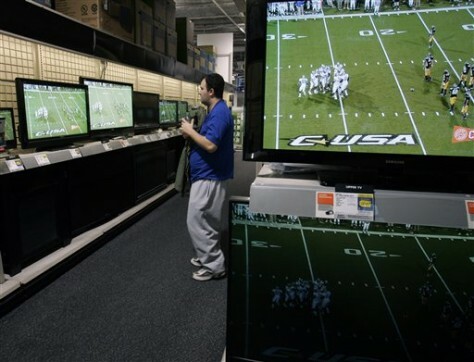 Here, a customer shops for flat screen televisions at Best Buy in Guilderland, N.Y.